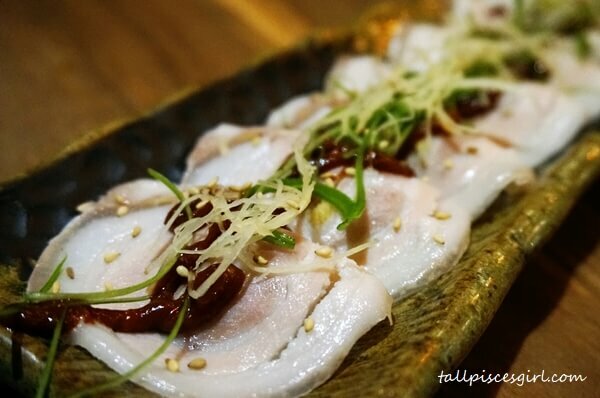 Some of us often heard the term “Izakaya” and still doesn’t know what it really means. 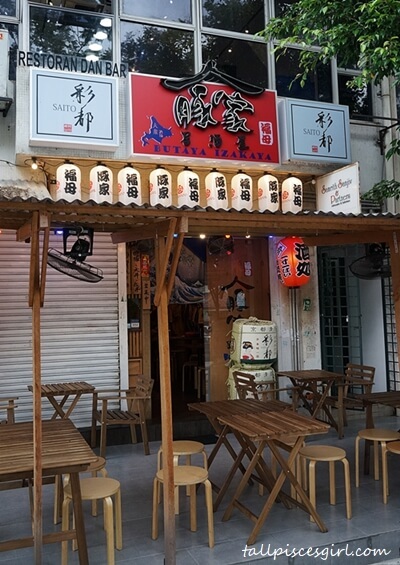 My visit to Butaya Izakaya (豚家居酒屋) at Sri Hartamas was a fruitful one as I was taught the real meaning of Izakaya and what an authentic Japanese Izakaya experience should be like. 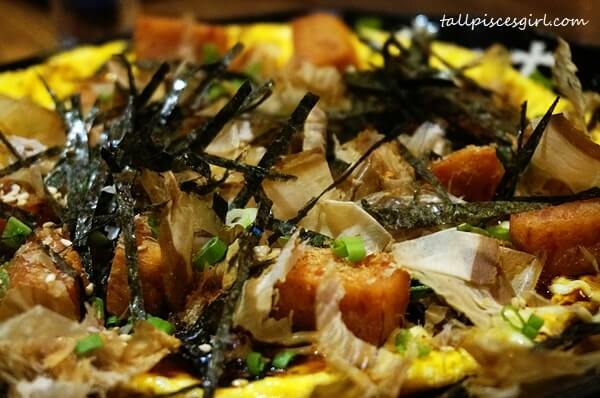 So what is Izakaya? 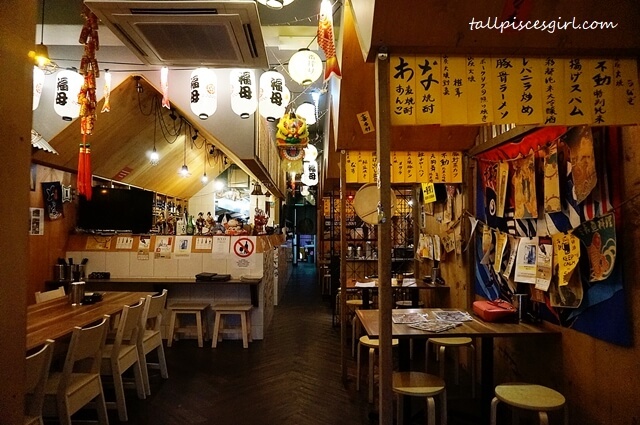 Izakaya in Japan is like an informal bar, for people to chill and bond after a stressful day at work. I’m sure you’ve heard how serious and stressful Japanese are at work. 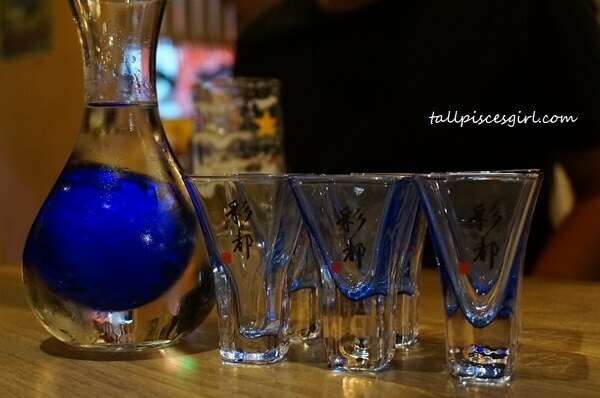 There’s got to be a way to let go of this built-up stress and Izakaya is the answer! Butaya Izakaya offers indoor and outdoor seating. For the best experience, I would recommend indoor seating because you can enjoy the cozy environment inside. As Izakaya is a pub setting, they do allow smoking indoors. In order to provide the best experience to their customers, Butaya Izakaya stocked up a wide variety of Japanese alcohol ranging from whisky, beer and sake. 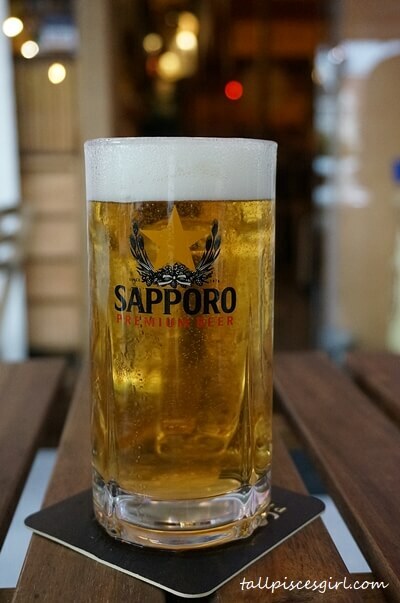 For starters, let’s order a pint of Sapporo beer to cool ourselves down after a hectic working day. Surprisingly, their beer didn’t make me feel full of gas and bloated. It’s refreshing! The weather outside is so warm. 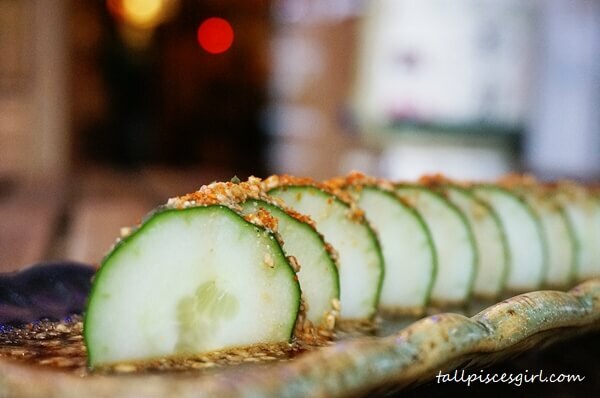 When we arrived, we ordered Cold Cucumber with Sesame dressing as an appetizer to go with the beer. Double cooling sensation! Before we move on, we also had Boiled Salted Pork Belly with Spicy Miso Sesame because the rest of our friends just arrived! Tastes pretty good! Ah! 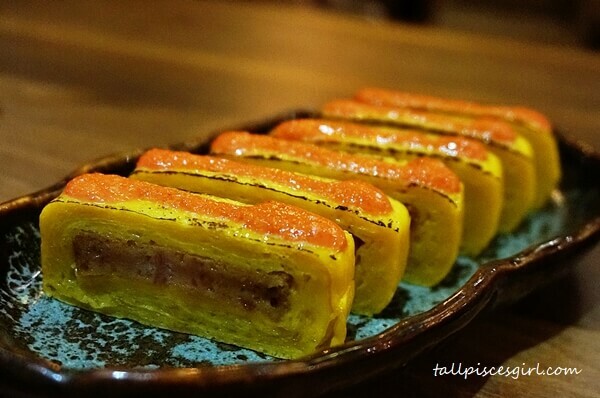 This is one of my top recommendation for appetizer – Luncheon Meat Tamago! The different layers producing different texture to your palate is very enjoyable. After some light cold dishes, we had something cold as well, but a little heavier. All hail Sashimi! 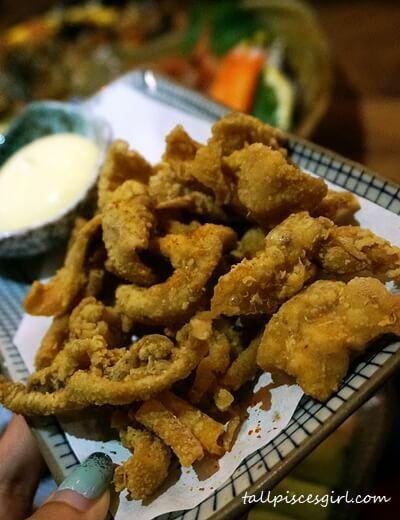 The good thing about Butaya Izakaya is that they have a variety of Japanese food categories to choose from. 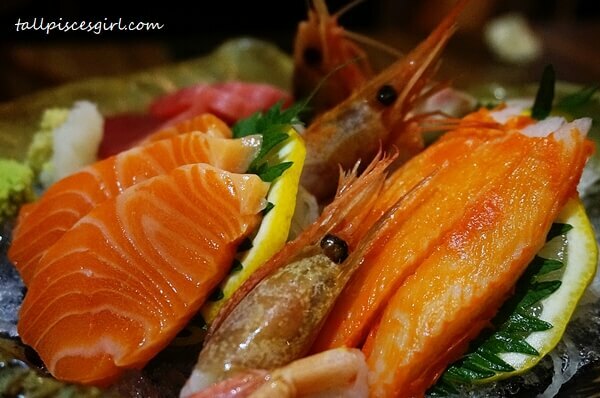 We gobbled up fresh assorted sashimi platter consisting of Salmon, Tuna, Ebi, Hamachi and Kani. 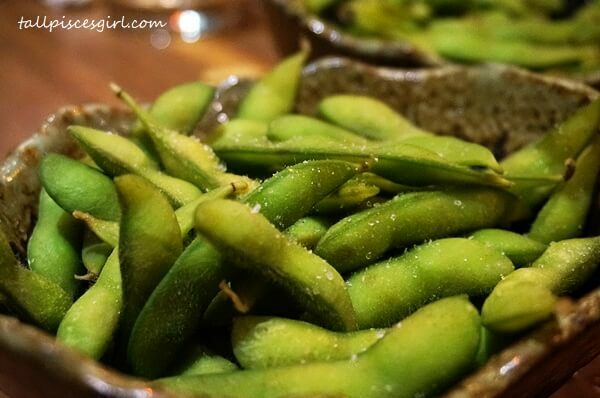 Best accompanied with Sake! Next course, we’re going to move to something a little heavier again which is finger food like gyoza and agemono (deep fried Japanese food). Yes, there’s a sequence and balance for everything in Japan. You’re not forced to follow of course, but it would be recommended if you want to experience the true essence of Izakaya. 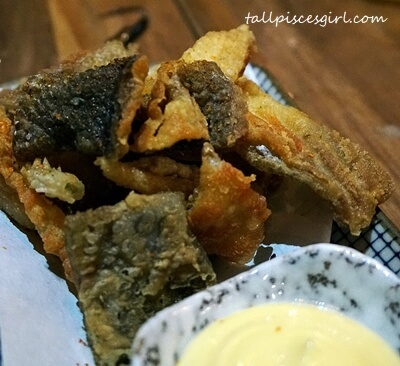 I truly love their Agemono – fried til super crispy and yet not too oily. I just can’t stop eating them. At this moment, you can pair it with highball or chuhai (shochu highball). 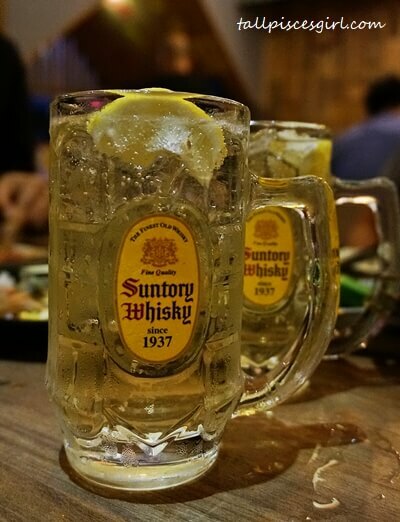 To truly taste the goodness of Suntory Kakubin, drink it in a Highball. Blended Whisky, mixed with soda, will bring more flavor to the drink. Squeeze a wedge of lemon in a glass and pack the glass with ice. Add your Kakubin. The recommended ratio is 1 part Kakubin, 4 parts soda. Fill the rest of your glass with chilled soda. Stir your Kakubin Highball with a bar spoon. Do it slowly. Keep it fizzy. 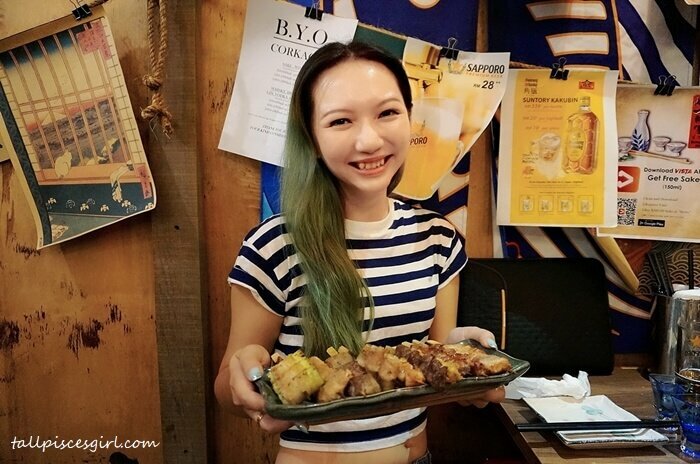 You can’t leave Butaya Izakaya @ Sri Hartamas without tasting their signature Yakitori (grilled skewers)! 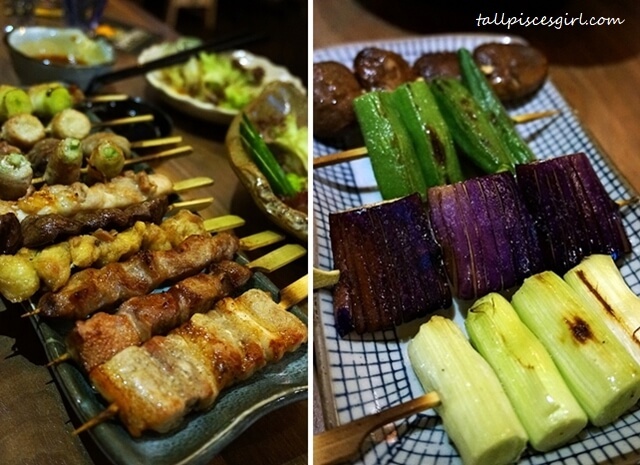 There are a total of 31 types of Yakitori to choose from ranging from pork, chicken, fish, to vegetables. Grilled to perfection, all items are reasonably priced and starts from RM 2.50 per skewer. Wow, this is possibly the cheapest grilled skewer in Kuala Lumpur! To continue the night with more chatting and drinking, you can order some appetizers, yakitori and agemono again to go with it. If you’re still feeling not full enough, you can order Don (rice) and ramen to fill up your tummy. For me, it was truly a great experience. 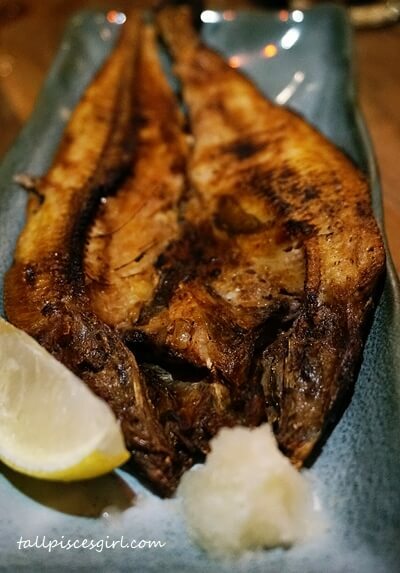 I can’t wait to go to Japan but in the meantime, Butaya Izakaya is the place to go if you miss the experience of going to an Izakaya in Japan.